The massive recall of defective Takata airbags last year underscored a major ongoing issue with unsafe motor vehicles and related devices that has dogged the auto industry in recent years. 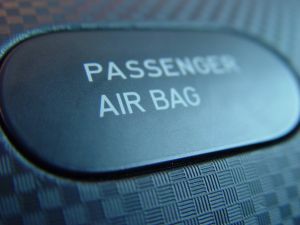 The one bit of good news is that since awareness of the problem has grown, vehicle owners are informed about proper corrective actions to ensure the defective airbags (prone to high-force explosion even in low-impact collisions) can be removed from the vehicles. However, The New York Times recently highlighted a startling scenario in which vehicle owners may have no clue one of these ticking time bomb devices is sitting right in front of their faces. Purchasing a car with 5-star safety ratings may reduce the risk of severe injury or death in a Naples car accident , but it doesn’t give motorists a free pass to drive recklessly or get distracted when they are operating these highly rated vehicles. Safety ratings only help consumers make an informed decision on what vehicle is most equipped to withstand a rollover crash or other dangerous rear-end or forward collision impacted crash. Our Cape Coral car accident lawyers agree that car safety is an important consideration when purchasing a vehicle but nothing can guarantee safety like motorists playing it safe every time they get behind the wheel. However, consumers are encouraged to check out crash test ratings before you purchase if you want to reduce the risk of injury to you or your family in a collision involving a drunk, distracted or aggressive driver in South Florida. Family Car Guide recently reported that the National Highway Traffic Safety Administration (NHTSA) is in the process of finishing up crash testing for 2011 models but has recently released the list of more than seventy 2012 models that will be put through rigorous testing next year. The 2012 vehicle list will be comprised of 42 passenger cars, 2 minivans, 8 pickup trucks and 22 SUVs and crossovers which is over 80 percent of the vehicle models on the projected market for 2012. -Family cars: Chevrolet Impala, Cadillac CTS, Nissan Maxima, Chrysler 300, Toyota Camry, Volvo S60 and the Volkswagen Passat. -Minivans: Toyota Sienna and Chrysler Town & Country. -SUVs and crossovers: Dodge Durango, Ford Explorer, Honda Pilot, Jeep Grand Cherokee, Toyota RAV4, Kia Sorento and Subaru Outback. For a full list of which vehicles will be crash tested and assessed a star rating for 2012, visit NHTSA online. In recent years, crash avoidance technology has been an important added feature in warning motorists that they are about to leave the roadway, veer over the center line or hit someone or something head-on or from behind. For the first time ever, the NHTSA will make recommendations to consumers about vehicles containing forward collision warnings (FCW), lane departure warnings (LDW) or both features. Last model year crash avoidance technologies were offered in 45 vehicles as optional equipment. There are 68 models for 2012 that have FCW (18), LDW (12) or both features (38) standard equipped in the vehicle. Safercar.gov will post the results of the Government 5-star safety ratings program for the selected 2012 models once the crash tests have been performed. You will also be able to find the NHTSA’s recommendations for which vehicles have the best crash avoidance technologies for 2012 models available on this website. Defective products in Fort Myers create substantial hazards for consumers. Holiday weekends can be a particularly dangerous time for both defective product injuries and premise liability injuries in Fort Myers and elsewhere in South Florida. Our Fort Myers accident lawyers encourage you to check with the Consumer Product Safety Commission for defective product news when making a substantial purchase, such as a crib, gas grill or portable pool. And to use extra caution in supervising children around swimming pools this holiday weekend and throughout the year. -A 1-year-old child drowned in the family swimming pool after getting out through a dog door in Deltona Beach, Pet Access Dangers reported. It was the sixth reported drowning in Volusia County so far this year. The site reports 70 percent of preschoolers who drown are in the care of both parents at the time and 75 percent are missing from sight for 5 minutes or less. Even portable pools may pose a significant risk. CNN reported recently that 244 submersion incidents have been reported involving small portable pools in the last decade — in 209 cases the accident resulted in fatal injuries. -Those concerned about defective vehicle injuries in Fort Myers should be aware that the Detroit News recently reported a recall of 50,000 Cadillac SRX crossovers, which need to have the airbag reprogrammed. 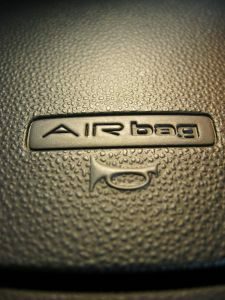 The National Highway Traffic Safety Administration reports the right side airbag won’t deploy in a crash if no one is in the front seat — as a result, backseat passengers may not be fully protected. Last year testing of fireworks shipments found that 43 percent were not compliant with the Federal Hazardous Substance Act, meaning users could be at increased risk of serious or fatal injury. 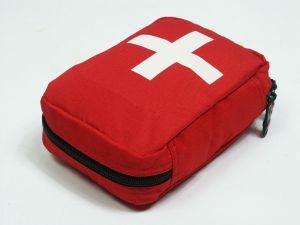 -The government has also announced a recall of 460,000 bottles and jugs of Pourable NAPAfire and FIREGEL. The gel fuel distributed by Napa Home and Garden of Duluth, Georgia can ignite unexpectedly and splatter onto people and nearby objects, creating the risk of Fort Myers burn injuries and of structure fires. The product was sold at Bed Bath & Beyond, Shopko, Restoration Hardware, and other stores nationwide. Consumers should stop using the fuel and return any unused portion for a full refund. Automotive Discovery reports lawmakers are considering a pair of proposed bills that would limit the rights of accident victims in crashes involving defective vehicles. The bills (Florida Senate Bill 142 and House Bill 201) may place undue blame on drivers involved in car accidents in Fort Myers and elsewhere in the U.S., instead of keeping the blame on manufacturers for their faulty products. Our Fort Myers defective products attorneys know that hundreds of recalls are issued each year involving defects. Many of those have the potential to either cause an accident or increase the risk of serious or fatal injury in the event of an accident. Defective car parts and manufacturing can pose potentially deadly threats when car makers put profits ahead of people. The two bills proposed in legislature will attempt to allocate blame. Currently, Florida law places blame in the lap of the manufacturer in accidents involving defective vehicles. Richter is also backing insurers in opposition of a bill that would require them to pay upfront replacement costs in the event of an accident — current law permits them to withhold part of the payment until proof that repairs are being made. 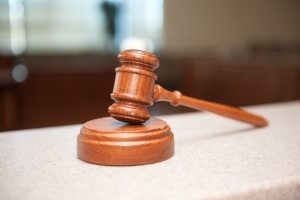 The occurrence of crashworthiness-related cases have increased nearly 400 percent in Florida over the last 10 years while national cases are down roughly 50 percent, according to The Florida Bar News. Regardless of driver error, the company should still be held liable for producing a defective product. With the new bill effective in Florida courts, drivers may fall victim to faulty products twice, once in a car accident and once in court. The house bill will not apply to law enforcement first-responders involved in car accidents, according to Automotive Discovery. The average motorist should be afforded the same protections. We urge you to contact our Florida State Lawmakers to oppose this bill and keep responsibility for faulty products where it belongs — with the manufacturers. 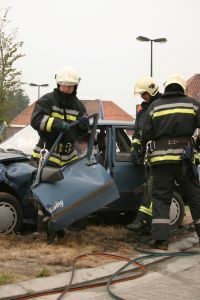 No driver should be punished for an accident in which a defective product influenced the outcome. 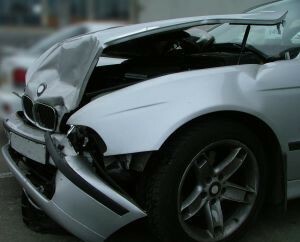 If you’ve been involved in a car accident involving a defective or recalled product, it is more important than ever to contact an experienced attorney to help you fight for your rights. Don’t let the court system blame you for poor manufacturing. Today’s new cars are safer than ever before. But some cars remain safer than others and what you drive can have a significant impact on the safety of you and your family in the event of a serious car accident in Cape Coral, Fort Myers or the surrounding area. Our Cape Coral personal injury lawyers want you to know about an improved government rating system and encourage you to make it part of your review process when considering the purchase of a new vehicle. For the first time, the government’s 5-Star Safety Ratings System includes an overall vehicle rating. New, more rigorous crash tests are also performed using female crash-test dummies, in addition to the standard male test-dummies that have been in use for years. After announcing within the last two weeks that it was recalling a huge number of various models of vehicles due to problems with the accelerator pedal, Toyota Motor Corp. announced a worldwide recall of as many as 437,000 hybrid cars, including its popular Prius model, because of what may be problems with the braking system. Additionally, Japanese news sources were reporting on Monday that Toyota was also gearing up to warn owners of the Lexus HS250h, also a hybrid model, that their cars may require similar repairs. This revelation will only further damage the Japanese auto maker by dragging its luxury line of vehicles into the same quagmire, and continue to damage the reputation of what had generally been regarded as one of the most quality-conscious car makers in the world. The U.S. National Highway Traffic Safety Administration has received about 100 complaints involving the brakes of the Prius model. Two involved crashes resulting in injuries. (It is being reported that Prius models manufactured since May 2009 are not effected by the potential recall). Prius owners have reported what seemed to be a slight lag time between depressing the brake pedal and the actual slowing of the cars, as well as a pulsing of the brake pedal when braking on a bumpy road. While Toyota has said it is investigating the purported problems, it has also said it does not believe that there are safety concerns with the cars, and are questioning whether a problem actually exists. If you are the owner of one of several different models of Toyota vehicles, your car, pick-up or SUV may be affected by a massive safety recall undertaken by the Japanese automaker. In September 2009, Toyota announced the recall of 4.3 million vehicles it said were susceptible to an accelerator pedal that could become stuck. At the time, Toyota indicated the fault of the problem was related to the car’s floor mats. Subsequently, the manufacture released an announcement that the fix would involve “trimming” the pedal mechanism. However, a Toyota website now says “In rare instances, there is a possibility that certain accelerator pedal mechanisms may mechanically stick in a partially depressed position or return slowly to the idle position”, and makes no mention of the floor mats. In January, an additional 600,000 Toyota vehicles were added to the recall list. Toyota, which has enjoyed a long-standing reputation as an industry leader in quality and customer satisfaction, shocked the automotive world and its dealer network when it told its dealers to stop selling eight models, including the Camry and Corolla sedans, two of the biggest sellers in the U.S. market. Other models affected by the move include the RAV4 and Highlander sport-utility vehicles and the Tundra pickup truck. They also announced they were halting production of the recalled vehicles for an undetermined amount of time.